I read this article and found it very interesting, thought it might be something for you. 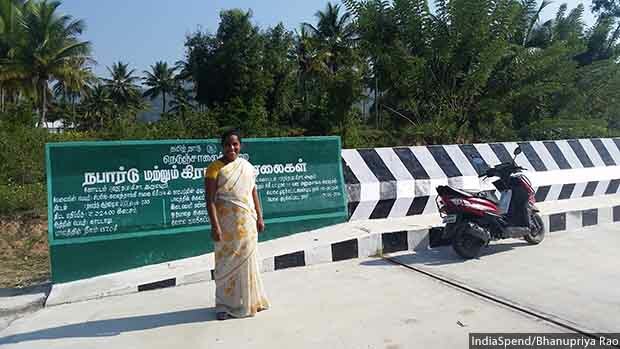 The article is called Meagre Funds, No Salary: How Tamil Nadu’s Women Leaders Still Succeed https://www.indiaspend.com/meagre-funds-no-salary-how-tamil-nadus-women-leaders-still-succeed-11501/. In Tamil Nadu, panchayat presidents--an elected full-time constitutional role--are not paid any salaries. The only other states in India that do not pay a salary to its rural elected representatives are Maharashtra, Gujarat and Odisha. Compare this to the earnings of a member of the state’s legislative assembly (MLA)--after a recent 100% hike, he/she receives a basic monthly salary of Rs 1.05 lakh, apart from the several perks and pensions. The last time Tamil Nadu revised its honorarium for panchayat officials was in 2012, when it was hiked from Rs 300 to Rs 1,000. And the meeting fee was raised from Rs 50 to Rs 100. As we reported in the first part of this series, women leaders were going beyond their assigned duties--such as provision of drinking water, sanitation, streetlights, road repair--to invest in services which have been neglected by their male predecessors. Own revenues, over which panchayats have complete control, constitute only 10% of the total revenues, as per our analysis. These are mainly from the taxes that panchayats can levy on their residents--house tax, profession tax, water tax, advertisement tax and some licenses and fees. Rates of house tax--the largest source of own revenues--have not been revised in many years and are kept flat irrespective of the size of properties. Poor households actually end up subsidising rich ones. If panchayats were to increase their tax collection to even 2.5% of village incomes, their own revenues would increase by 15 times, calculated Sahasranaman’s study. Mazharkodi Dhanasekar (left) of Melamarungoor panchayat is from a dominant caste, and her family owns 15 acres of land. 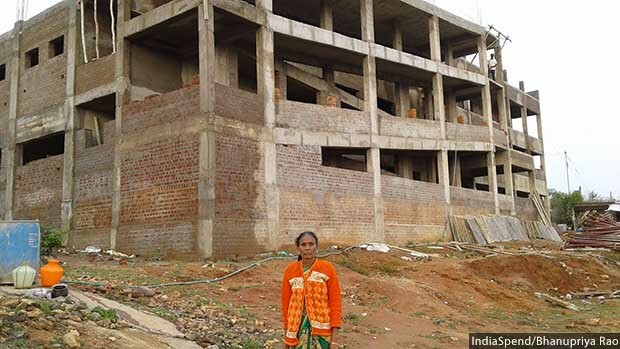 She spent Rs 1 lakh of her own money to build toilets under Swachh Bharat Abhiyan. 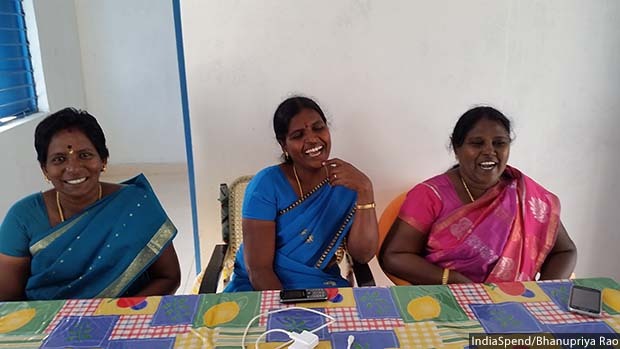 Leaders such as Prema (centre) and Rajeswari (right), dalit presidents of Kurthangudi and Silakkapatti panchayats, have to lobby hard for funds. This takes time, effort and access to officials--easier for their male counterparts. 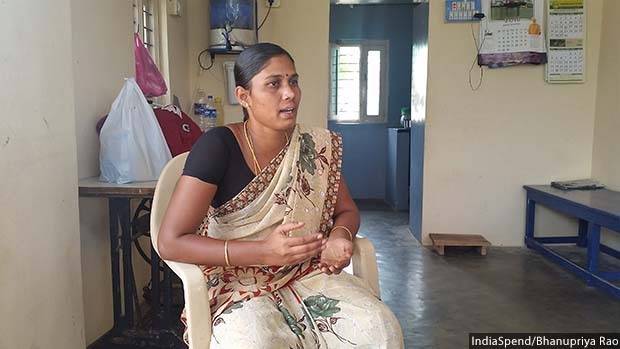 This is the second of a five-part series on women panchayat leaders in Tamil Nadu. You can read the first part here, the third part here, the fourth part here and the fifth part here.